If you are in a hurry, here are some quick facts about the trimmer. The Philips Norelco Trimmer Series 3000 BT3210/41 is a combination of regular stubble trimmer with a head attachment. There are 10 length settings trough cycle rotator on the trimmer body. There are 10 adjustable length settings enhancements- 3/64’’ (1mm). Phillips Norelco series 3000 is one of the most popular beard trimmers. The weight of this trimmer is only 11.2 ounces. So you can understand it very light weighty beard trimmer. The shaver is very quiet in the operation. It looks so stylish and simple. It looks like an expensive shaver but actually not. For its light weight, it can easily fit in your hand. Where are you holding the trimmer, it is made of rubber and plastic. So you won’t feel pain on your hand even there is no chance of sudden slip from your hand. The Duel-cut technology blades are able to cut and trim fast. The blades are self-sharpening, so you don’t need to use oil. The blades are skin friendly so there is no chance of skin scratching and irritations. In the front of the shaver, you will see there is an ON/OFF slider. And you will also see the 10 length setting of hair on the front side. The Norelco 3000 is able to trim your hair up to 0.5mm-10mm. This trimmer is not waterproof. But all the attachments are washable. Cleaning is so much easy through the little cleaning brush. The Phillips Norelco 3000 is able to handle any type of hair even the thick hair. The adjustable comb does an awesome job when it lifts and cut the hairs (with effortless). The lift and trim comb of Norelco 3000 will capture more hair by every pass. You don’t have to worry about mortise, cuts or other horrible mishaps when the adjustable comb cut the hair. Just trim rapidly with confidence even when the trimmer at the lowest settings. Finally, I want to say the trimmer is awesome and it glides across your face. You won’t be frustrated with this trimmer. The 10 hair length settings will give you a precise length which you want. It is perfect for me. Now we are here, where we are going to know, what Philips Norelco Beard trimmer claim to do. In this section, we will take a close look at this whole product. You can trim your hair in different length by this trimmer. Because Phillips Norelco 3000 BT3210/41 comes with 10 adjustable length settings- 3/64’’ (1mm). The blades are rounded tips which will contact with your skin smoothly. The blades also prevent your skin from the scratching and any kinds of irritations. The lift and trim comb will capture more hair with every pass. The blades are self-sharpening and give you a durable performance. You will get fast and even trim by these 2x more powerful steel blades. The weight of Phillips Norelco 3000 is very light only 11.2 ounces. So you can easily hold and control the trimmer. 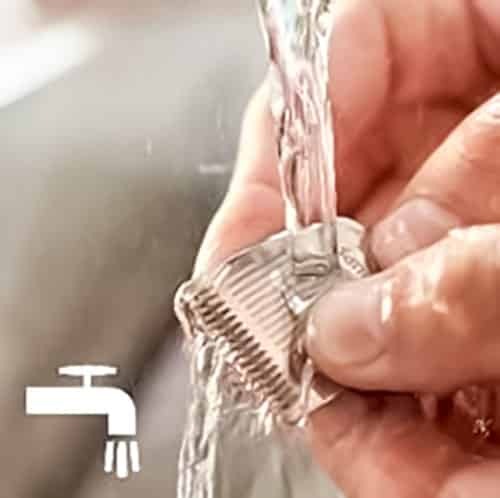 Cleaning is very easy, just apart from the trimmer head and rinse it under the running tap. Let it dry before adjoin it with the body. It is not 100% washable but all the attachments are washable. I am really impressed with the battery life of Phillips Norelco series 3000. The battery is made with Lithium-Ion which will provide you with 90 minutes of work time by 8-hour charge! The charging time does not matter to me but the running really matters to me. There is an indicator, by this system you can know when the battery is low, empty or fully charged. When you will charge the trimmer, the battery indicator becomes green. The indicator lights up green constantly when the battery becomes completely charged. The running time is really impressive. If you look forward to the Phillips other series like– Phillips Norelco series 5100, this will provide you with 70 min corded/cordless use by 1-hour charge. Phillips Norelco series 7200 will provide you with 80 min corded/cordless use by 1-hour charge. 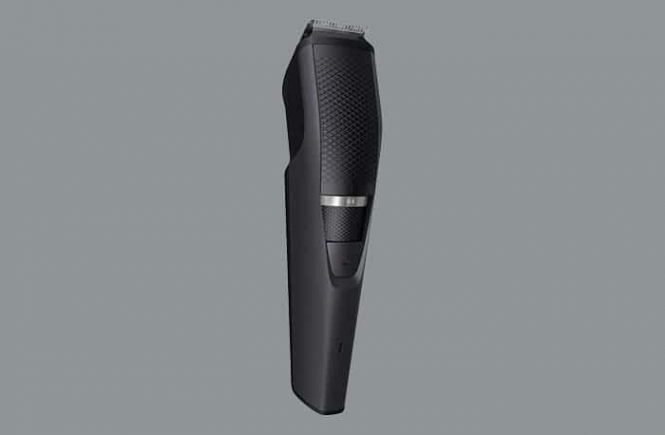 Braun beard trimmer 3020 is another popular trimmer. If you compare the Braun BT3020 with Phillips Norelco 3000, the Norelco 3000 will provide you 90 min run time by 8 hours charge and the Braun BT3020 will provide 40 min by 10 hours charge! 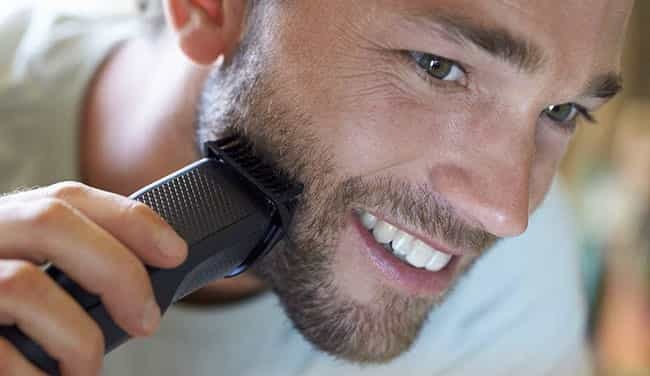 When you’re trimming a beard, you won’t have to think about how you get into the tight corners. 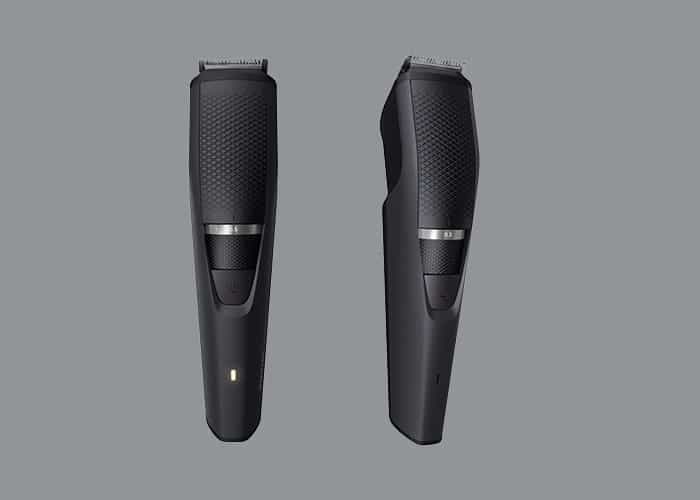 The Philips beard trimmer 3000 comes with a sleek design that makes it easy to handle. 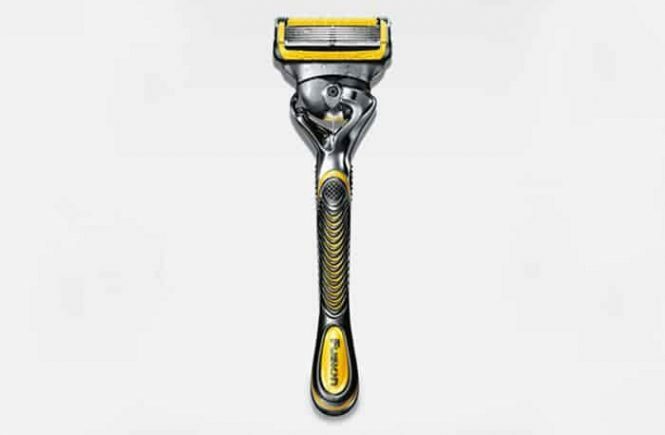 The shaving head is large enough to cover big areas with more quickness. It ensures that it is a very handy device. If you use once, you will be a big fan of the textured grip at the top of the trimmer. Rest your thumb on this trimmer and you’ll maintain a perfect control over your shave. Philips company has embedded the power button into its own little groove. I like this technique. This technique means that there’s a small risk of you turning the device power off when you’re in the middle of a shave. Cleaning work of the device is also pretty easy. It’s meaning that you are able to clean it under running water. There is one and the only problem comes with the head. The shaver head has a tendency to collect the stubble in the dial as you shave. If you left it unchecked, this stubble turns into gunk. This is almost impossible to get rid of that. For this, I’d recommend that you should rinse the shaving head under the tap after every trim. It is very easy to clean the trimmer with the cleaning brush. Now, I am telling you how you will do an easy clean by the cleaning brush. This 1st of all to clean, remove the comb and blades are revealed. Now one more level of cleaning can be achieved by removing the blades. To remove the late apply force against the blades and simply it comes up. After removing the blades you can see the mortal lining on the trimmer body and you need to clean this area very well. Cleaning of this area is very essential so that hairs do not mingle with this part and it can cause a disturbance in the motion, which can be reducing the efficiency of cutting. After cleaning you have to replace the blades and comb. Now to replace the blades back edge in the trimmer, then press and you will hear a click and we are ready for action. After replacing the blades you can apply the comb back. The extra which comes with the trimmer is not much extraordinary. With the shaver, you also going to get a nice little travel pouch. This pouch is large enough for the razor body and the accessory of the head. But there is no space for the charger. You have to store the charger somewhere else. There’s also a cleaning brush for this type of trimmer. But unfortunately, you have to buy this product separately. My shaving experience with it is really good and I am satisfied. I have 3 beard trimmers from 3 brands and I am fairly happy with the Norelco 3000. I like it most because of its 90 minutes of cordless use. The Norelco 3000 is able to cut all type of my hairs, my previous trimmers were also good but I had to go twice or even thrice on the going over an area. There are multiple settings in this trimmer. The 10 hair length setting is a great feature of Norelco. It gives me a smooth shave; there is no chance of pull/catch on your beard hair causing sudden pain. I want to say with confidence that the Norelco 3000 has given me the most smooth, soft and perfect shave I have ever obtained from a beard trimmer. After using this trimmer for the 1st time I was so delightful. I am really satisfied with its shaving performance and my hats off to Phillips Norelco and Norelco makes my work easy. How wide the cutting blades will cut? How much the volt range? It can adopt 100-240 volt. But don’t exceed 240 Volt. What is the height setting? For your extra push, you can go up to 11. 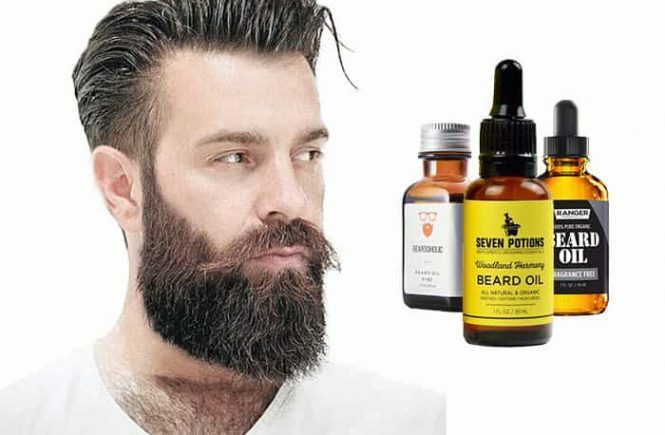 Is it good for wet facial hair? The manufacturers recommend that you use on dry hair for optimal result. You can use it on your wet hair but performance won’t be good. Do you need to oil the blades? The blades are self-sharpening. So you don’t need to do this. No. it is not waterproof but the attachments are washable. Can you use it on your head hair? 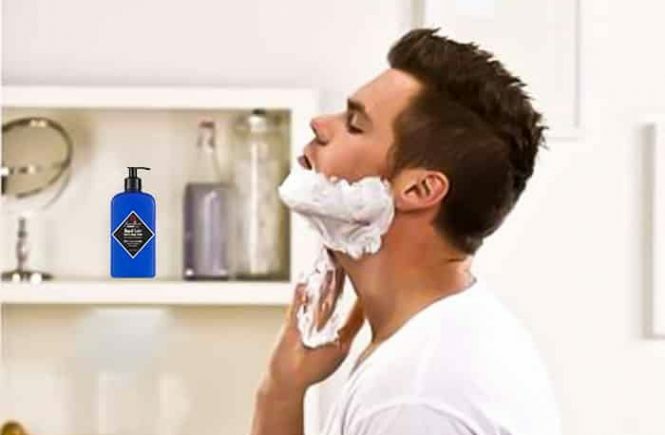 No, this is only for your beard and stubble use. How longest this trimmer will cut? Philips Norelco is a popular band, you know this. If you want to buy this trimmer, you can buy from your nearby showroom. But you also can buy this from Amazon. This is the best way to buy products online. Some customers are happy with this trimmer and some are not. Some give the positive review like- the trimmer is super flexible; they got the neat trim, the long battery life. Ultimately they are satisfied with its performance. Most of the customers who are bothered about this product, the only objection is about the durability fact. They said, it started well but not last long. They also have faced a problem with the ON/OFF switch. The on/off switch does not work well. The trimmer did not shut off until the battery ran down. Some said the Norelco 3000 is a trash. I really don’t know what has happened to them. I will again say, I am a new user until I did not have to face any kind of problem. Anyway, the Norelco 3000 achieved 4.1 stars out of 5 stars from the customer’s review. It does not make too much noise. If you will try or if you have Phillips other products, you can see they make some noise but this thing is not like them. The head attachment of the trimmer has 10 length settings. Each full charge offers 90 minutes of shaving time. Trimmer’s head detaches for quick cleaning. In-built comb lifts flat hairs while trimming. This one is not ideal for those looking for a clean shave. The dial needs regular cleaning because of stubble. This often falls into it. The trimmer only trims to a maximum of 10mm. It takes ridiculously long charging time. 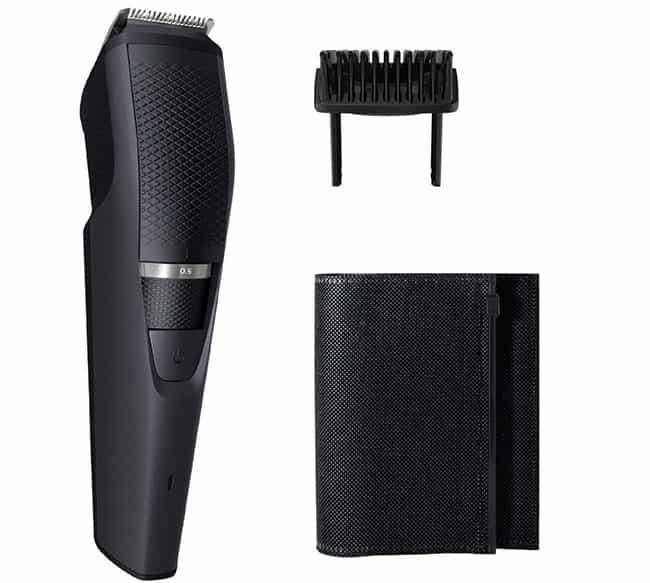 If anyone who does not use a beard trimmer until now wants to use or anyone who is not happy with his old beard trimmer, they can try the Phillips Norelco 3000 Series BT3210/41. Because you can get this trimmer in a reasonable price range. There is not a lot of functions in it but it can fulfill your demand. Cleaning is very easy and the blades are self-sharpening. So I will recommend you to keep it in your consideration. Here I want to inform you about the Norelco 5100 and 7200 in a shortcut. It will help you to take your decision which will be best for you. The Phillips Norelco Beard trimmer 5100 comes with a Dynamic beard guide system. There are 1 beard comb with it and 2 hair clipping comb (0.4mm-13mm). There are 17 length settings in this trimmer- from (0.4mm-7mm). The Norelco 5100 is 100% waterproof. You can use this trimmer cordless or corded. It will provide you with 70 min run time by 1-hour charge. The battery is made of Lithium-ion. Incremental step for exact beard length is 0.2mm. The Phillips Norelco Bread trimmer 7200 comes with the vacuum system. This trimmer is able to capture 90% trimmed hair in every pass. You will get 1 beard comb and 2 precision combs (3mm-5mm). It is not 100% washable but the attachments are washable like the Norelco 3000. Length settings adjustment is the zoom wheel. This feature has also in the series 3000 and 5100. There are 20 length settings in the Norelco 7200- from (0.5mm-10mm)! It is really a super feature of it. This trimmer is also for corded/ cordless use like Norelco 5100. The Norelco 7200 will provide you 80 min run time by 1-hour charge! The incremental step, for exact stubble and beard length, is 0.5mm.